Do you ever wonder what it is about the connection with our animal companions that is so significant, deep and expansive to our hearts? People are becoming increasingly aware that animals are here as teachers, healers and spiritual guides for humanity. You might be wondering how we receive their teachings, healings and guidance. As a 25+ year practicing Animal Intuitive, Psychic and Healer, I commune with the animals regularly and will share some of the techniques I use, so that you may try them yourself. It is after all your birthright, and I believe that given the desire, commitment, and a strong intention, everyone has the ability to master this skill. 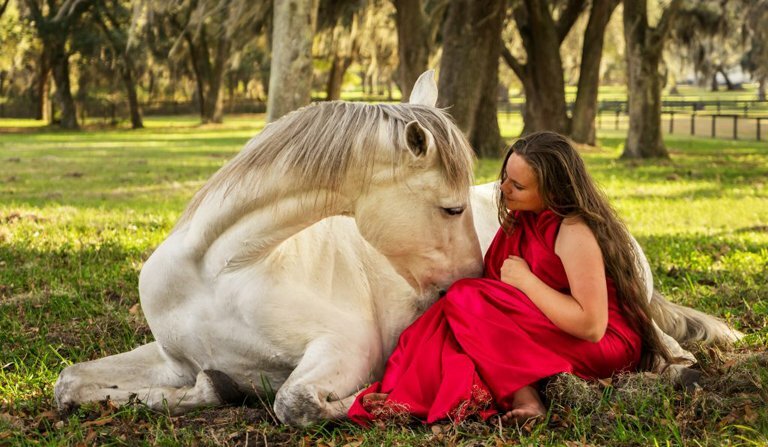 In my work I use telepathy, interspecies telepathic communication, and animal communication as well as other methods to communicate with the animals. I liken developing of our telepathic abilities as an ever- evolving spiritual discipline and a big part of our path to self-awareness, personal healing and spiritual-mastery. The more owe put into it, the greater the benefits we’ll reap. Like many other spiritual disciplines, the key components of animal communication are quieting the mind and focusing our intention. Getting centered, grounded, and taking a personal inventory of our thoughts and feelings are also important. Next, I visualize a beam of light connecting my third eye and heart center, and running from them to the animal’s heart center, thus forming a triangle. This method is called Jiggs Purple Triangle and was given to me back in the early 90’s by my late Golden Retriever Jiggs, a key player in all my work and teachings, while he was still on this plane. I then make a connection with the animal’s soul or spirit by calling out their name three times, either verbally out loud, or silently in my head. When I feel I’ve made the connection I begin my conversation with them, sending them any questions I may have and listening for their answers. This entails listening to and paying attention to whatever information comes my way, whether it’s a voice, a feeling, a knowing, a picture, a color or a symbol. The information may come in many forms and is almost always fleeting. When beginners hear their first communication from an animal, it’s in their own voice, and therefore can create doubt. Practice, trust and building confidence can help alleviate this and make it easier to trust and accept what is received. ‘What do the animals tell you?’ you might be wondering. No personal secrets, don’t worry, just information that is relevant to their health, happiness and well-being, or yours. Your animal friends are just as concerned about you, as you are about them. They may choose to converse about their personal preferences, routines or household changes they want to see implemented, or perhaps health concerns. They will even negotiate with you on behavioral or what I might call emotional issues. This can be very effective in eradication of undesirable behavior. Sometimes the animals just want to share information, just to get something off their chest, or about their higher purpose for being in your life. Animal communication is a magical experience and whatever form it takes we are always privileged to be a part of it. If we really listen to the animals, they will teach us, not only how to heal them, but also how to heal ourselves and Mother Earth. They are counting on us, at this time, to wake up, become conscious, and embrace our gifts, let’s not let them down! See attached image to go with it.